As Executive Vice President – Sales and Marketing, Rick leads Logile’s customer-facing operations, including sales, customer support and consulting services organizations. 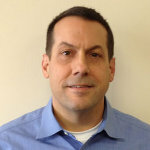 With more than 25 years of hands-on experience in information technology and retail management, Rick is uniquely qualified to understand the challenges presented in evaluating, selecting and implementing complex enterprise solutions. His leadership has been instrumental in establishing Logile’s culture, which is based on meeting and exceeding customer expectations and attaining the customer’s budgeted return on investment. Rick worked closely with Purna in developing and deploying groundbreaking workforce management solutions at H-E-B, a Tier 1 multinational grocery retailer with annual revenues exceeding 21 billion dollars, where Rick served as Director of IT Strategy for Store Operations. Excited by the opportunity to design and bring to the marketplace workforce management and execution compliance solutions that fully operationalize organization initiatives, Rick accepted the invitation to found Logile in 2005. Regarded as an articulate and innovative leader, in his prior positions Rick developed strong return on investment business cases that were used for capital planning, project selection, and budgeting realized project savings. Rick led the selection and successful implementation of numerous enterprise business systems, including workforce management, point of sale, back office accounting, loss prevention, mobile computing, and voice over internet protocol systems. Rick holds a Master of Business Administration and Bachelor of Business Administration from the University of Texas at San Antonio.